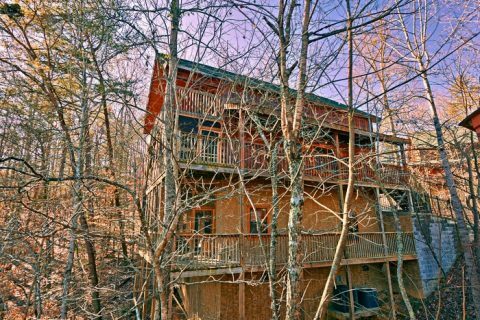 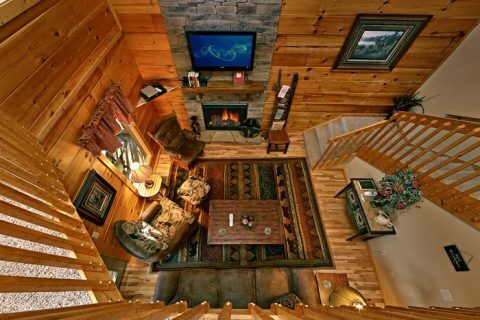 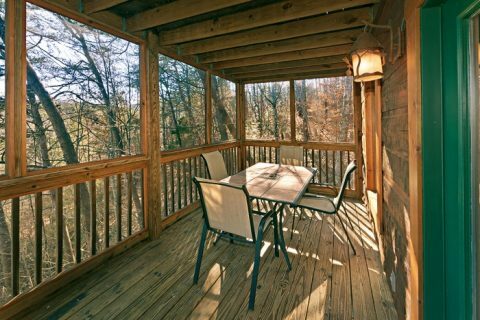 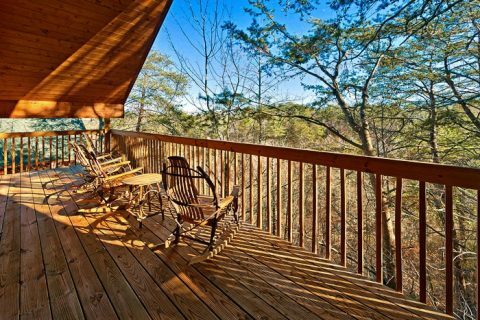 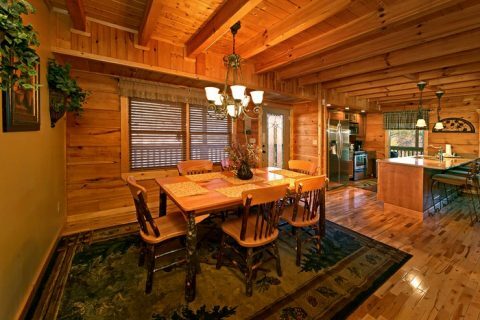 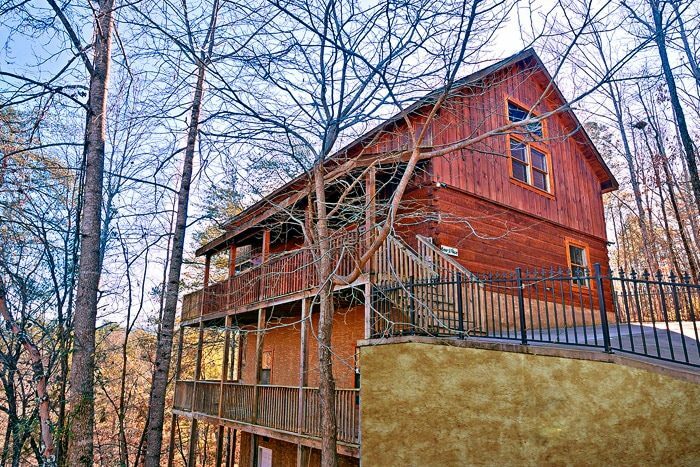 This gorgeous Pigeon Forge resort cabin, "Bear-E-Nice," accommodates up to 10 vacationers and it places guests just off the parkway in Brookstone Village Resort in Pigeon Forge, TN. 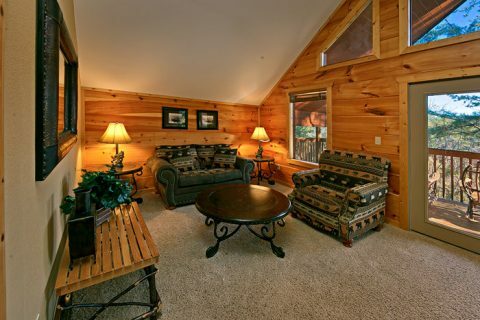 Family and guests will love how easy it is to visit Downtown Pigeon Forge and return to your cabin for relaxation in the Smokies! 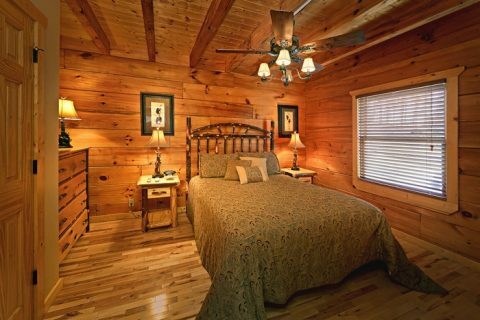 "Bear-E-Nice" provides guests with an absolutely gorgeous cabin filled with top of the line furnishings and amenities that create a warm, welcoming atmosphere. 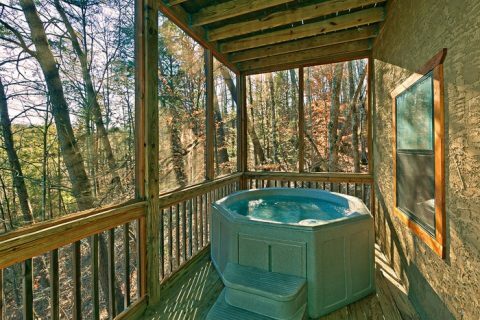 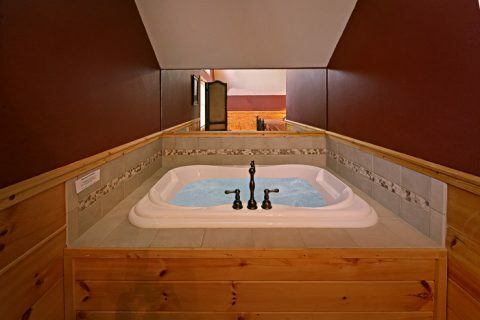 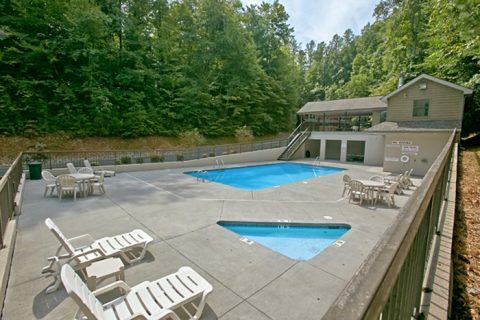 This Pigeon Forge cabin rental with swimming pool access offers guests plenty of amenities for a relaxing cabin stay. 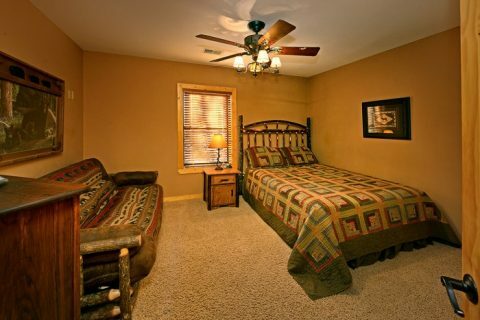 "Bear-E-Nice" gives guests 4 spacious bedrooms to relax in a mountain setting. 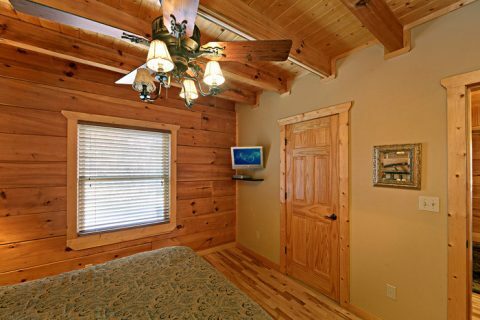 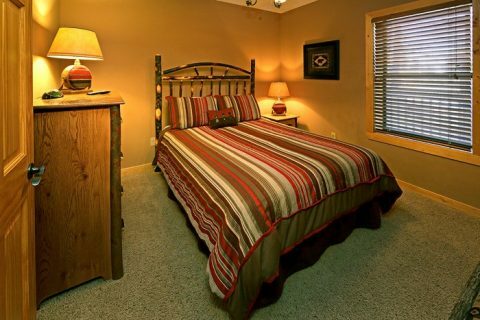 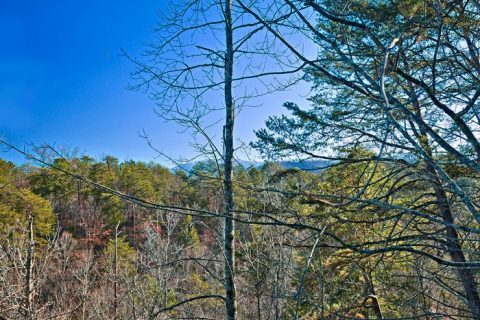 The master suite features a king-size bed, a gas, stone fireplace at the foot of the bed, a jacuzzi tub, a flat screen television, an extra sitting area, and a private balcony overlooking views of the nearby Smoky Mountains. 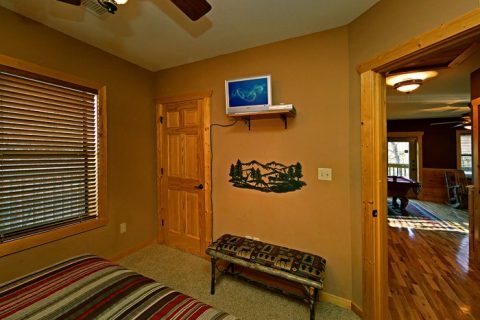 This cabin's other 3 bedrooms feature very comfortable queen-size beds, and one contains a television as well. 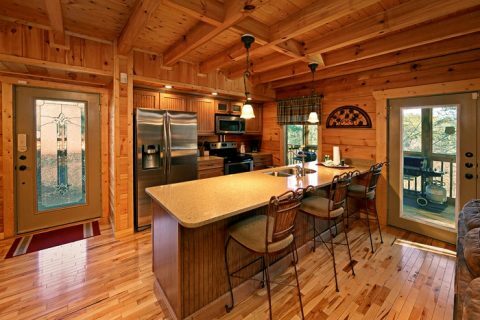 The cabin's fully equipped kitchen features stainless steel appliances, a breakfast bar with extra seating, and a large dining area for quality mealtime together. 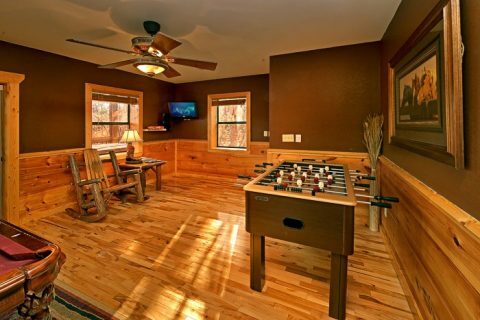 This Pigeon Forge resort cabin's wireless Internet will be a hit with the kids who can stream games and movies in the cabin. 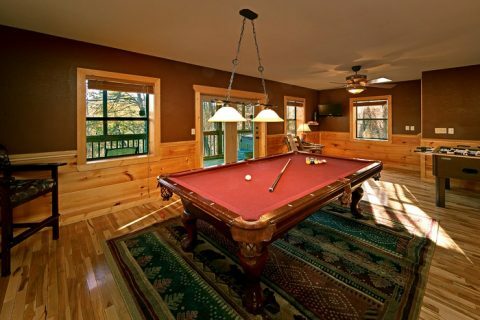 Additionally, there's the game room with pool table, arcade game, and television for extra entertainment. 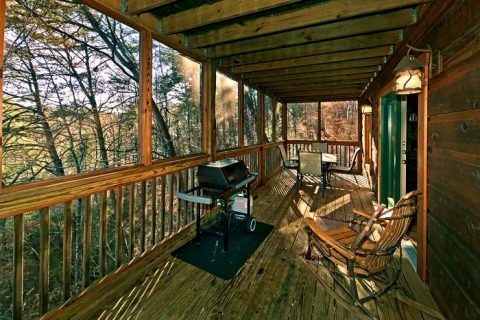 The large screened-in porches with rocking chairs, a gas grill, and a hot tub provide the ideal spot to enjoy the outdoors day and night. 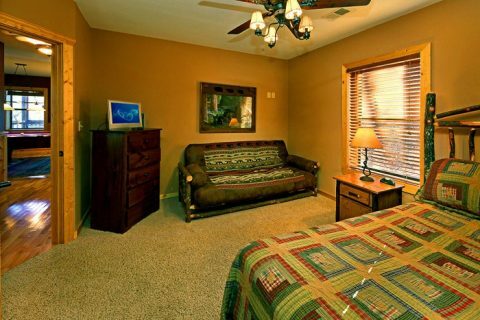 "Bear-E-Nice" in Brookstone Village in Pigeon Forge, TN offers the perfect Smoky Mountains family vacation getaway! 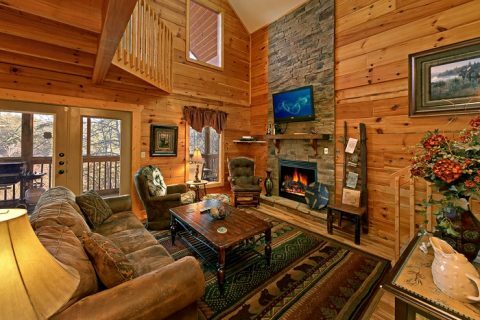 SAVE when you book your Pigeon Forge resort cabin online with Cabins USA Gatlinburg for immediate Online Savings. 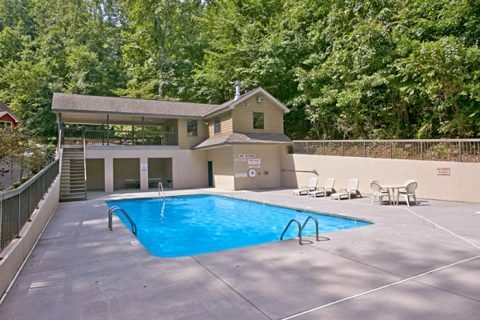 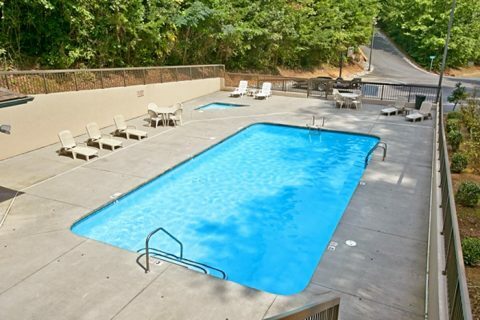 Take the plunge for affordable family fun and build life-long memories of your vacation in the scenic Tennessee Smoky Mountains!